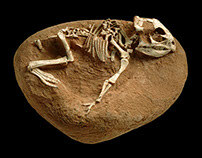 One of the challenges for paleontologists is reconstructing the appearance of animals that are long extinct. 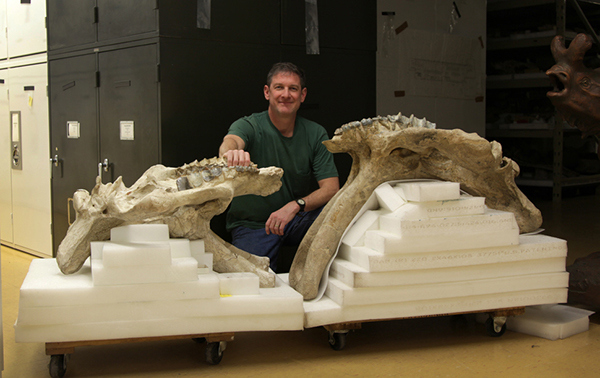 Working with artists is an integral part of paleontology. 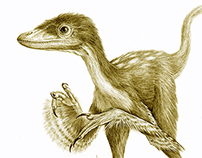 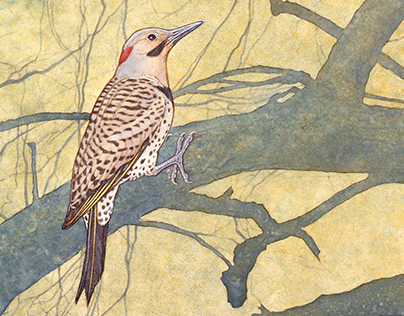 Artists who work in paleontology are usually scientific illustrators, a profession that employs creativity and drawing skill within the strict rules of scientific research. Paleontological illustrators often work closely with scientific research staff on particular projects. 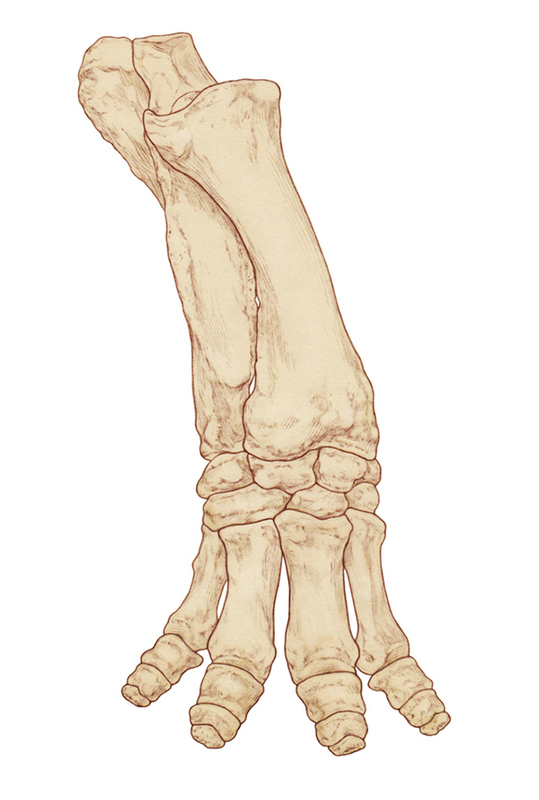 They need an excellent grasp of anatomy as well as drawing and photographic techniques. 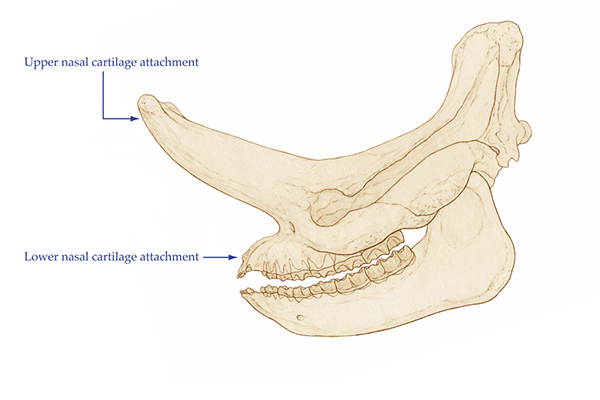 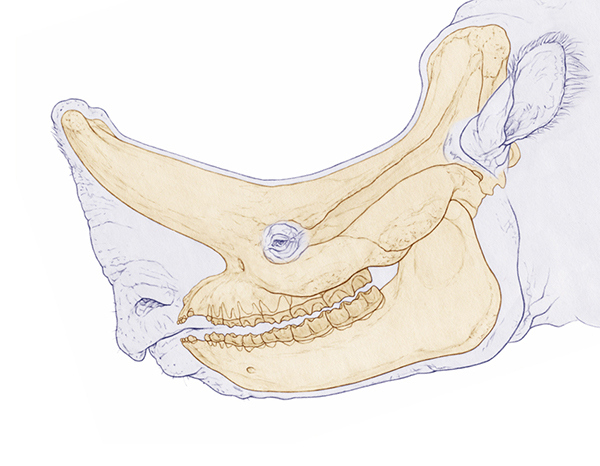 As part of the Perissodactyl project, I worked with two AMNH research associates, Dr. Matthew Mihlbachler and Dr. Nikos Solounias of the New York College of Osteopathic Medicine on a new reconstruction of the Central Asian brontothere Embolotherium. 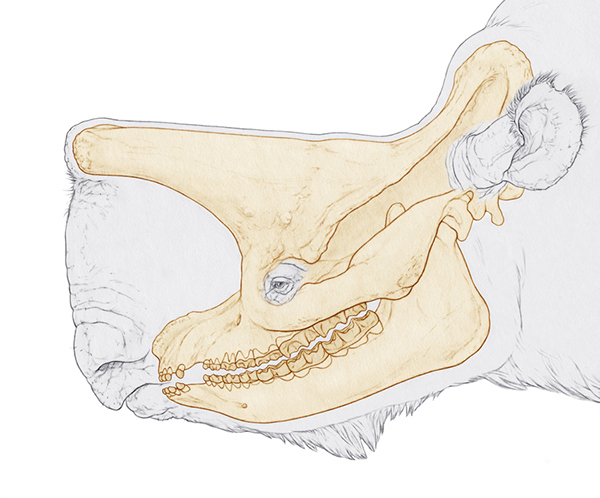 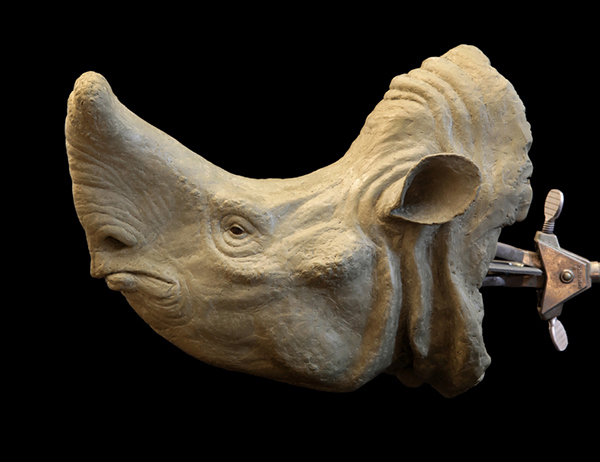 Mihlbachler and Solounias had carried out a research project on this animal; their results suggested that the structure previously interpreted as a horn in Embolotherium actually supported a greatly enlarged nose. 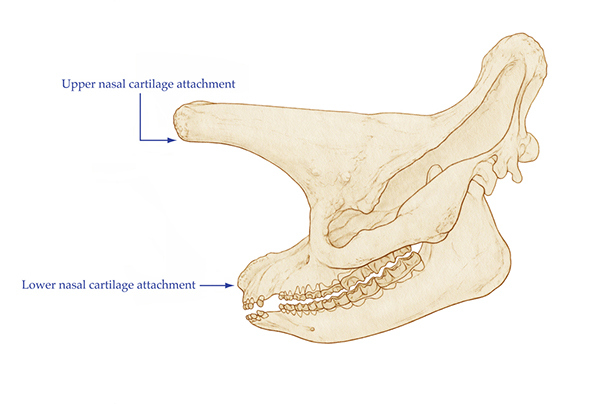 My task was to produce an accurate reconstruction of this bizarre looking mammal. 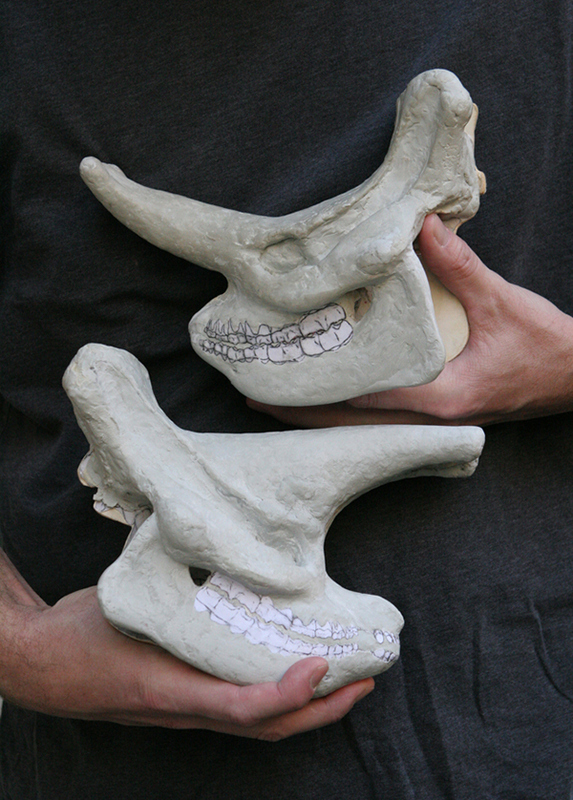 The massive fossil skulls of E. grangeri and E. andrewsi, two species of Embolotherium in the AMNH collections.